Hula’s Modern Tiki, Phoenix – A hip, mid-century-styled spot with good brunch and cocktails. 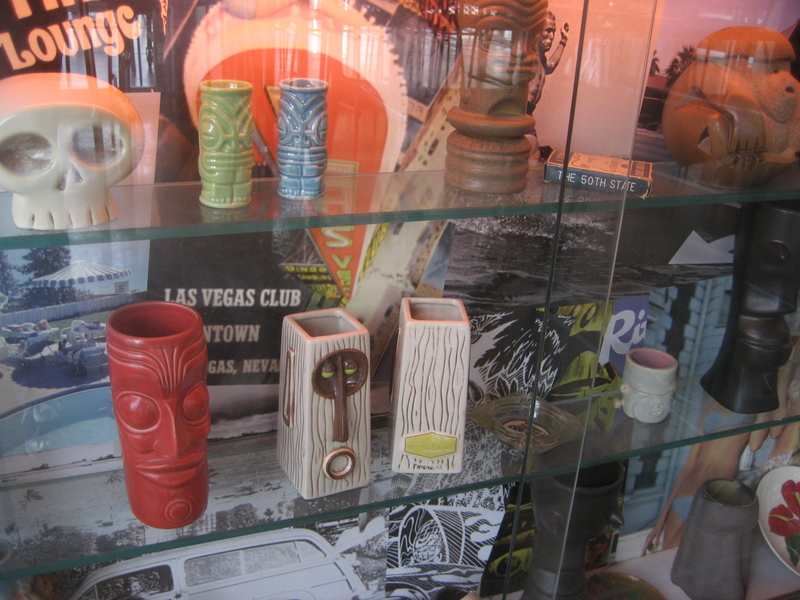 It’s decorated with a Bosko shield and tikis carved by Tiki tOny, plus an impressive collection of Munktiki mugs. There’s also a Scottsdale location. Bikini Lounge, Phoenix – For decades, Bikini Lounge seems to have done just fine as a local’s dive, but since current owner Matt Tomb took over, he’s made an effort to preserve the bar’s history and bring in more tiki elements, including décor, drinks and mugs. Kon Tiki, Tucson – This classic tiki temple has changed little since it opened in 1963. 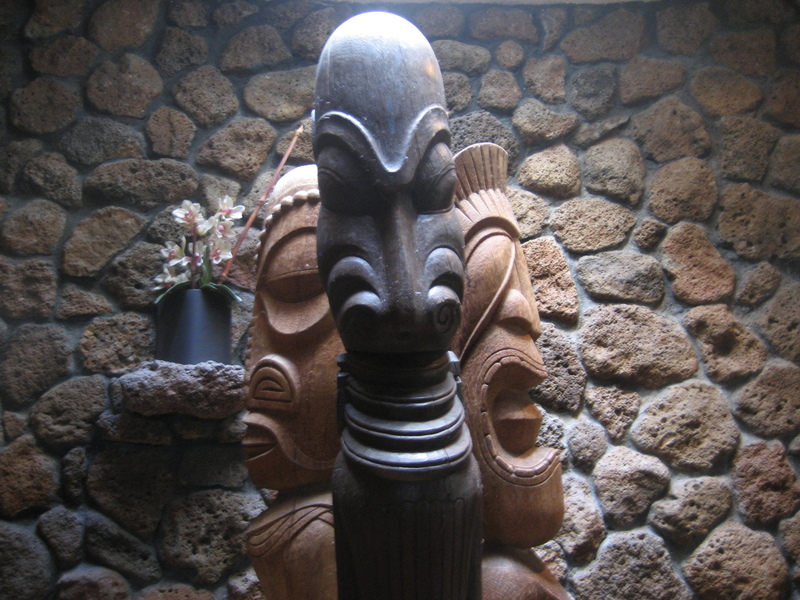 It also boasts the largest collection of Milan Guanko tikis. The Hut, Tucson – A live music venue with tropical cocktails and a giant Moai at the entrance. 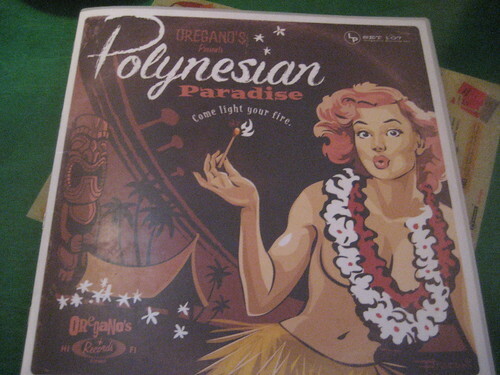 Oregano’s Pizza Bistro, Mesa – The menus at this nostalgic pizza chain are designed to look like retro album covers, like this one with a tiki and pin-up hula girl. Trader Vic’s Scottsdale – This sleek Trader Vic’s location at the Hotel Valley Ho closed in 2011 after about five years in business.